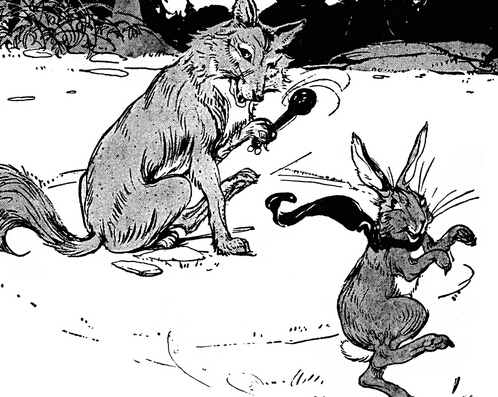 The rabbit sees the wolf, but she is not afraid. She pretends to be poisoned by the mushrooms. The wolf thinks, “If I eat her, I will be poisoned, too.” So he goes away. Then the rabbit is very happy. She goes on picking the mushrooms. 1. The wolf is ______. He wants to _________ the rabbit. 2. The rabbit is not __________. 3. She pretends to be ______.